You’ve solemnly sworn that your newly-painted walls are going to remain as flawless as they were the moment their painting was finished, no matter what. 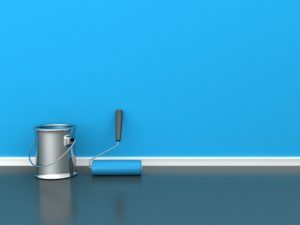 Cleaning services Brentwood, which often step in for homeowners struggling to keep wall paint fresh and clean, have some time-tested methods to recommend to you. To achieve a more lasting wow effect, it might be best to find local house cleaning services immediately after finishing any home improvement project, but you can also give the following DIY option a try! Unless you decide it’s time to find local house cleaning services capable of maintaining your walls fresh, smooth and impeccable, you’ll have to go it alone. Not to worry, though – keeping the paint on your walls looking fresh is all about regular maintenance and prevention. The more effort you put into prevention, the less work you’ll have later on. The best method for preventing dust from gathering on the walls is using the vacuum cleaner with the soft dusting brush attachment. You should then use a mop to wipe the walls down, preferably after applying a dusting agent. You should eliminate any spots, marks, fingerprints as soon as you spot them. You should wipe them away but be careful not to use too much water. To make the solution, you’ll need a quart of warm water, a teaspoon of liquid dish detergent and a quarter of a teaspoon of white vinegar. Apply the solution on a stain and allow to sit for 10 minutes before blotting with a dry, clean sponge. To avoid the risk of having the dye of the sponge transfer onto the wall, make sure you use a natural sponge. With MaidThis, you’ll easily find local house cleaning services willing to go the extra mile! Looking to find local house cleaning services that meet your strict criteria for cleanliness ? Count on MaidThis to refer to you the most dedicated professionals in the business. They’ll keep every wall, nook and cranny of your home looking fresh and spotless! Call MaidThis and let’s do this!